Black Oak LED’s curved D-Series light bars look cool and perform even better. The subtle outward curve better matches a vehicle’s contours while increasing outer LED reach. Black Oak’s 10-inch curved light bar has the identical high-quality build, IP69K intrusion rating, high-performance electronics, 50,000-hour LED lifespans and night-piercing brightness as their 10-inch linear model. 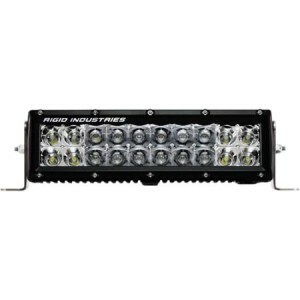 This light bar would be a perfect fit for your UTV or ATV. Both the 3W and 5W LED power levels feature the highest light-to-power efficiencies of any LED made. This curved light bar comes with a full IP69K wiring harness, mounting hardware, Black Oak’s famous 30-day cash-back guarantee and their lifetime warranty. The gentle arc of this 10-inch light bar complements the curvature of any car or truck’s lines. In addition to its aesthetic appeal, the curve adds side illumination regardless of which beam configuration you select. Many buyers appreciate that extra beam width for back road or trail driving. When installing a pair of 10-inchers, most highway users prefer the less power-hungry 3W Osram LEDs. Everyone acknowledges the confidence these light bars inspire via their brightness and solid build. Black Oak’s D-Series, dual-row 10-inch light bar is both stylish and practical. Up to 100 watts of dark-crushing light and a wider beam spread make it ideal for highway driving, cruising trails or boat navigation. 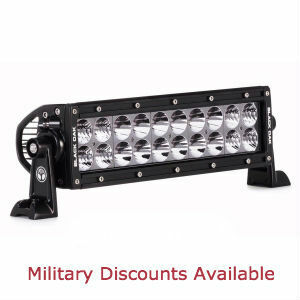 It offers the same excellent performance and ruggedness of the straight 10-inch D-Series light bar at the same price. In other words, the highest value possible for your LED light bar purchase. Yes, you want the biggest, brightest, longest-lasting LED light bar value you can afford. In that case, Black Oak LED is your only option. But, why not throw a little style into the bargain? 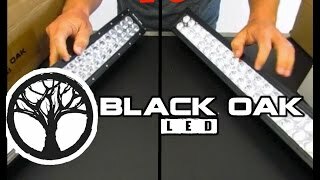 Black Oak’s 30-inch, double-row, curved LED light bar brings all that. Mounted over the windshield, the bumper or the bow or stern of your boat, it boasts a clean, custom fit. The curve also broadens the light’s reach at the edges. 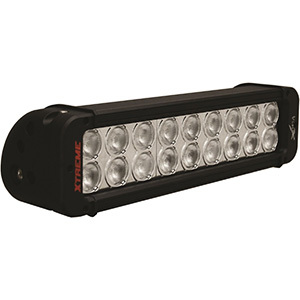 Naturally, the curve does nothing to diminish this light bar’s high-performance LEDs, robust circuitry and IP69K waterproof and dust proof construction that make Black Oak LED light bars market leaders. This light bar comes with their full guarantee and warranty plus a waterproof wiring harness and stainless steel mounting brackets. Over 35,000 raw lumens of the 5W Osram version of Black Oak’s 30-inch curved light bar is an ungodly amount of light. It is more than enough to brighten up any job site, accident scene or trail with day-like brilliance. The price difference is so small between 5W and 3W that most buyers opt for the former. The gentle curve of the housing enhances side illumination regardless of which beam configuration you select: Flood, Spot or Combo. Boat owners find the length and broad illumination perfect for night maneuvers around docks. Whatever the application, this LED light bar is built to stand up to the rigors of over 30 environmental hazards and keep on shining. With Black Oak, the choice is yours – straight lines or curved – since both styles in the same length sell at an identical, affordable price. Black Oak’s 30 inch D-Series is very bright, durable product that rightly blows away any competitor on performance and price. 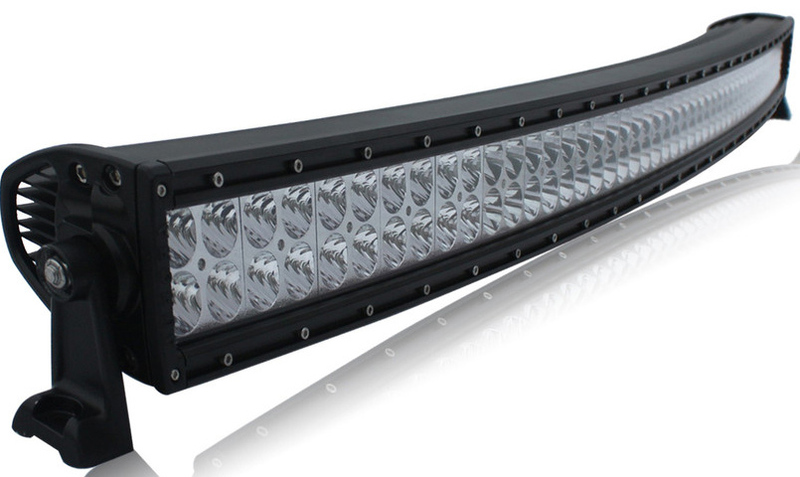 Black Oak’s curved 50-inch, double-row LED light bar asks the question “Is it possible to have too much light?” With 100 top-bin, high-efficiency Osram LEDs lighting the way, you may just find the answer to that question. This light bar’s pleasing outward bow enhances both its aesthetics and wide-field performance regardless of whether you select the spot, flood or combo beam. Mounted over a windshield, it effuses style while projecting unforgettably vivid luminescence. 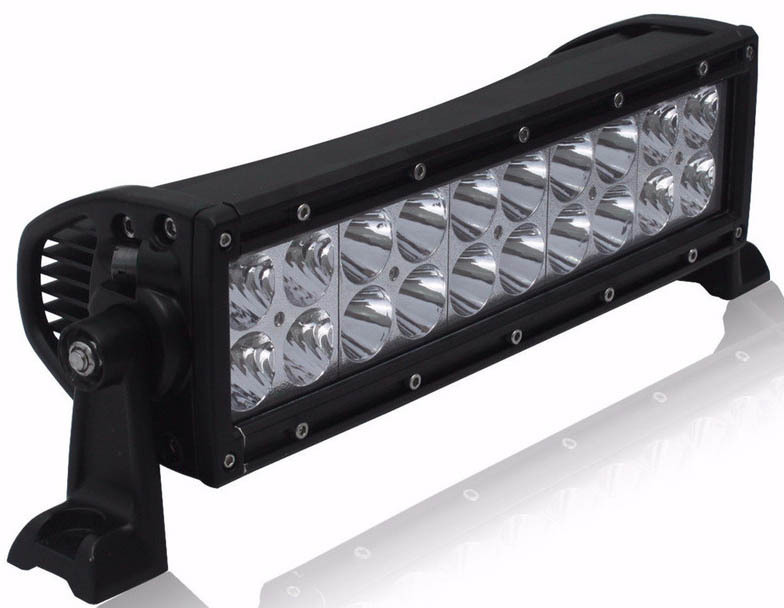 Just like its “straight” brother, the Black Oak 50-inch D-Series LED light bar, it has the same high-standards build quality, dependable electronics, 50,000-hour LEDs and IP69K intrusion rating that marks it as a Black Oaks product. This impressive, curved light bar also comes with a Deutsch, waterproof, dustproof wiring harness and stainless mounts. It is backed with Black Oak’s legendary lifetime warranty and 30-day money-back guarantee. It probably matters little whether you select the 3W or 5W Osram LEDs for this light bar as it is going to blow away your friends with its brilliance either way. On the other hand, since the 5W option is only $85 more, why not go for it. 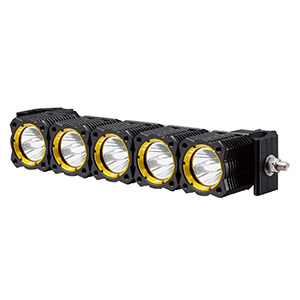 Order this with the flood option and you will have the widest field of illumination possible. Buyers love the style and power of this unique light bar. 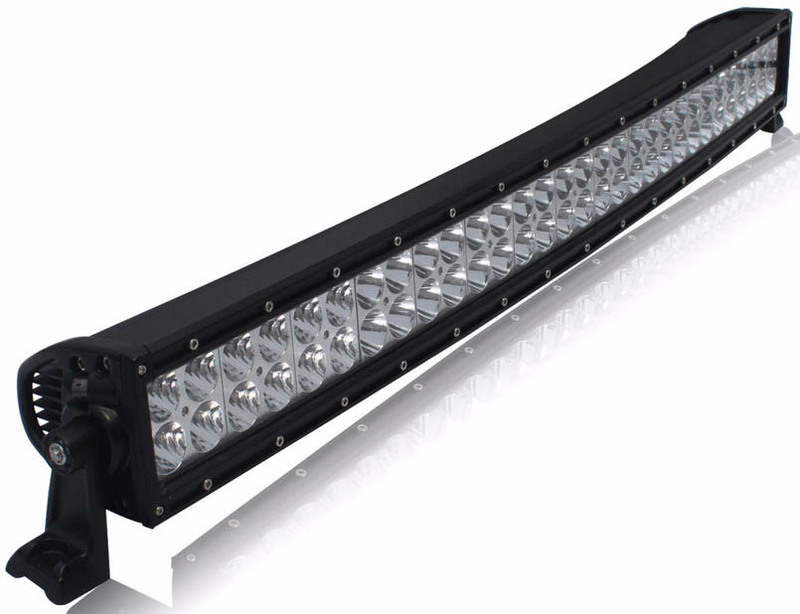 Black Oak’s 50-inch dual-row D-series curved light bar is every bit as bright and durable as the linear model. 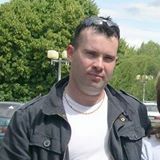 It just adds a bit of panache and broader light field. 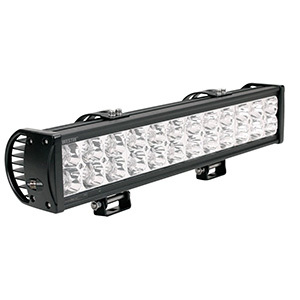 If you are looking for maximum brightness, durability, dependability and value, this is your light bar. It is truly a screaming value compared to what competitors offer.